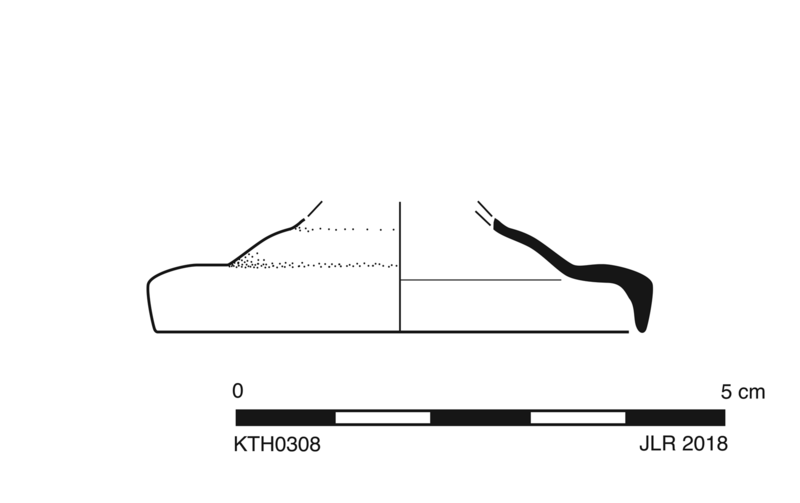 Vertical base pointed and rounded (fire-polished) toward resting surface on low, undulating foot; form of stem is uncertain. Light green (PMS 7486C/7487C), transparent. Frequent pinprick to small, spherical bubbles; uncommon tiny, white sandy inclusions. 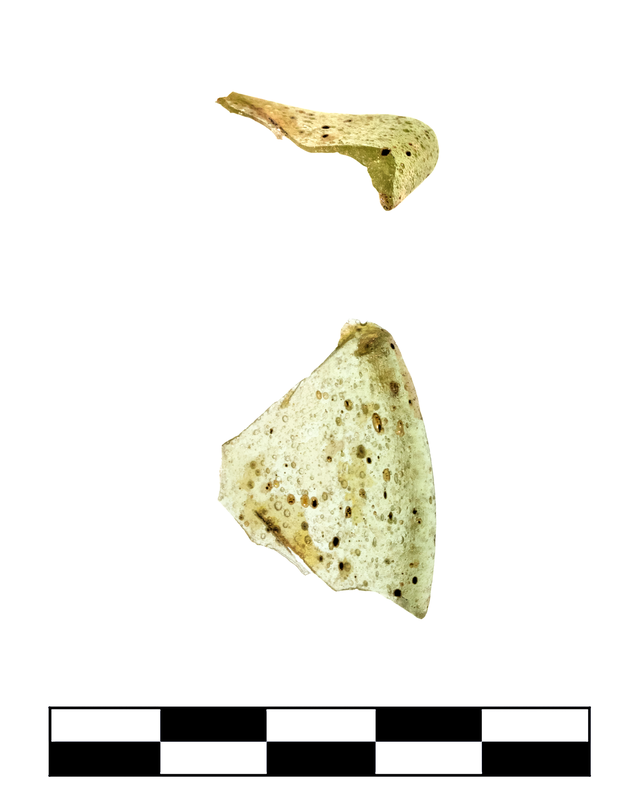 One fragment preserves less than one quarter of base and foot. Slight, extensivg dulling and iridescence; slight, extensive pitting and feather cracking around edges.